Yes, we all know lawn maintenance is a chore. Fortunately, with the wide variety of modern grass sold by experts like Hancey’s Turf, lawn care doesn’t have to be as difficult as you may think. In fact, the high level of lawn care prescribed for traditional kikuyu grass, for example, can actually reduce the performance of modern grasses like palmetto turf. 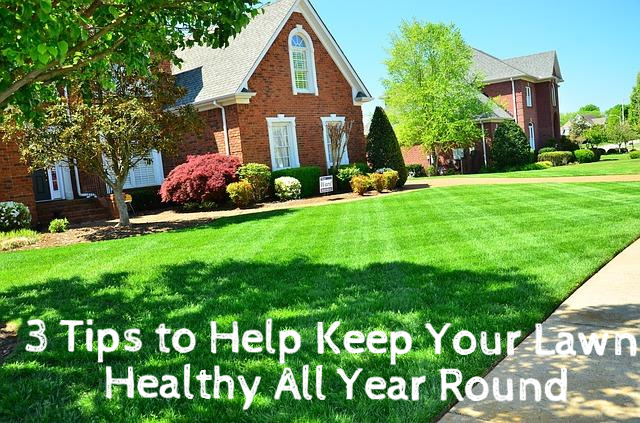 Besides watering, there are three key tips that will keep your grass lush and healthy throughout the year. You’re never going to get away from mowing. Mowing keeps a lawn neat, it encourages thicker growth, and it allows air, light, and moisture to more easily reach the root system. But, while it still has to be done, with modern, slow-growing grasses, you can forget the weekly mow. Grasses like zoysia or palmetto can be trimmed down to 15mm and not creep much above that height for a month or two, meaning you may only have to borrow that nice neighbour’s lawn mower six times a year. Generally speaking, you’ll be able to get away with even less frequent mowing in winter, when growth slows. Good lawns cannot live on water alone – they need food as well as drink. Deficiencies in nutrition can result in thin, patchy growth and yellowing. Look for a dedicated lawn fertiliser. Lawn fertilisers are higher in nitrogen, which is the most important nutrient for lawns because it encourages thick, dense growth with strong leaves. The next most important nutrient is potassium, which builds and toughens the grass, making it more resistant to damage and wear, and boosting its ability to repair itself. Finally, in winter, you may need to either add an iron supplement or choose a fertiliser with iron in it to help counter some of the yellowing lawns naturally go through in the cooler months. Make sure you follow the instructions on the pack for how much to apply per square metre. As tough as modern grass is, it’s not invincible; heavy traffic or accidents might require a little quarantine time. Maybe the plumber had to dig up your yard to get to that leaking pipe or perhaps you set the mower a bit too low on that first pass. Or maybe the lawn growth is just slowing down a bit over winter. Whatever the damage, most grasses will self-repair as long as there are still some roots and shoots left. Give it a good feed and water, and then… just stay away from it! Don’t mow it, don’t walk on it, and don’t let the kids or pets play on it. In a few weeks, it should be strong enough to treat as normal. Yes, modern lawn care takes a bit of work… but much less than it used to. Gone are the weekly mows and endless watering, and in its place are grasses that take much less than they give back. Remember, a lawn keeps your house looking good and feeling great 365 days a year, so it’s worth a few hours every month to keep it looking good. Commitment is really needed to maintain such lawn like that in the picture. Sometimes, I ask my friends and 10-year-old kid to help me out with maintaining. It does feel good seeing our lawn from my window nice, clean, and neat.